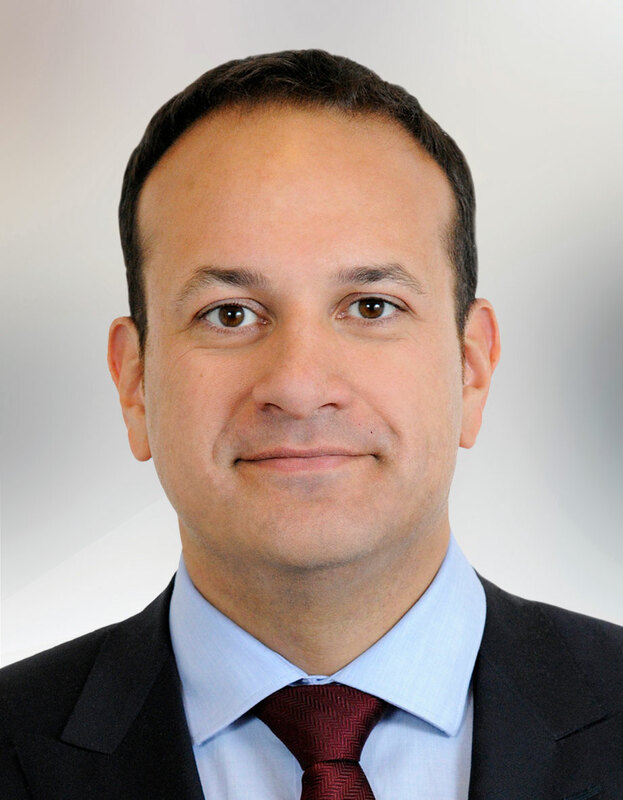 Leo Varadkar TD is youngest ever Taoiseach since 14 June 2017 and Leader of Fine Gael having been elected to the position by the Party’s Electoral College system in 2017. He is also the Minster for Social Protection since 6 May 2016. He previously served as Minister for Health from July 2014 to May 2016. He served as Minister for Transport, Tourism & Sport from March 2011. Leo was first elected to Dáil Eireann in 2007 and is a TD for Dublin West. As Minister for Transport, Tourism & Sport he led a number of bold initiatives, including The Gathering: the largest and most successful tourism initiative ever held in Ireland. He took the decision to link up Dublin’s heavy and light rail commuter network through the Luas Cross City project; open up more bus routes to competition; further develop the National Sport Campus; and grant independence for Shannon Airport. He also developed a new Road Safety Strategy and a National Ports Policy. In his time as Minister for Transport, Tourism and Sport, the number of international visitors to Ireland has increased by one million per annum, while passenger traffic has increased through the three State airports and on public transport. Born in 1979 and raised in the Blanchardstown/Castleknock area of west Dublin, Leo attended St Francis Xavier National School and The King’s Hospital in the locality, before studying medicine at Trinity College, University of Dublin and qualifying as a General Practitioner. He is a former member and Deputy Mayor of Fingal County Council, securing the largest personal vote in Ireland in the 2004 local elections. He chaired the EU Council of Transport Ministers during the Irish Presidency of the European Union in 2013 and served on the Foundation Board of the World Anti-Doping Agency (WADA). Leo likes watching rugby and Gaelic football, is a Dublin and Leinster fan and a fitness enthusiast who regularly takes part in running and triathlon events. He likes to travel, attend concerts and go to the cinema. Leo has a particular interest in political and public sector reform. In Government he set up a more transparent public appointments process for State boards, publishes his expenses online, and dramatically expanded the role of parliamentary committees in the drafting of new policies and legislation. An Taoiseach, Leo Varadkar, has expressed his condolences following the death of former Fine Gael TD Seymour Crawford.